We are going to be making a range of sculptures at school this term. Today we learnt that a sculpture is a piece of art that you can look at from many angels...so we discovered that our drawings from last term are not sculptures...because you can't see them from the back. 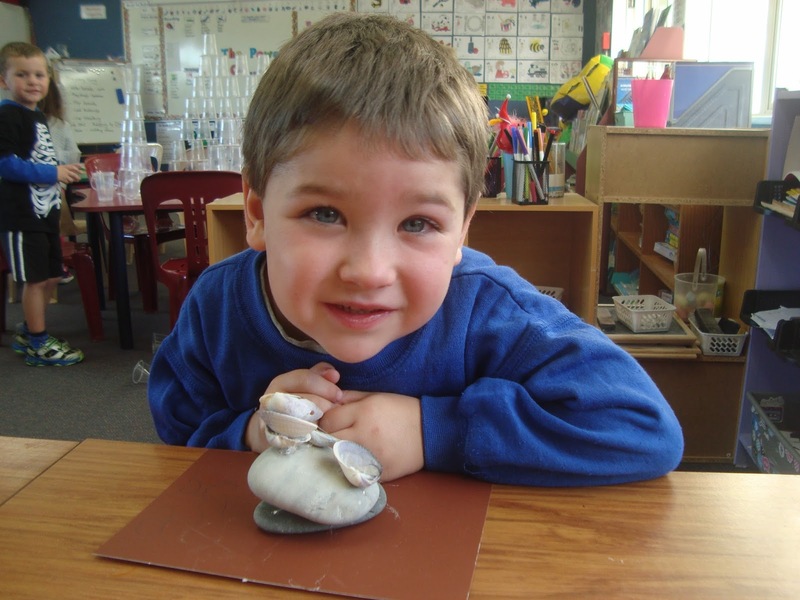 Take a look at our first attempt of sculptures using shells and stones and some glue.